This clean, precise form is the result of hours of labor by our artisans, who meticulously weld each ring together. The result is g.r.a. a delicate, refined pendant whose intricate shape belies its romantic glow. 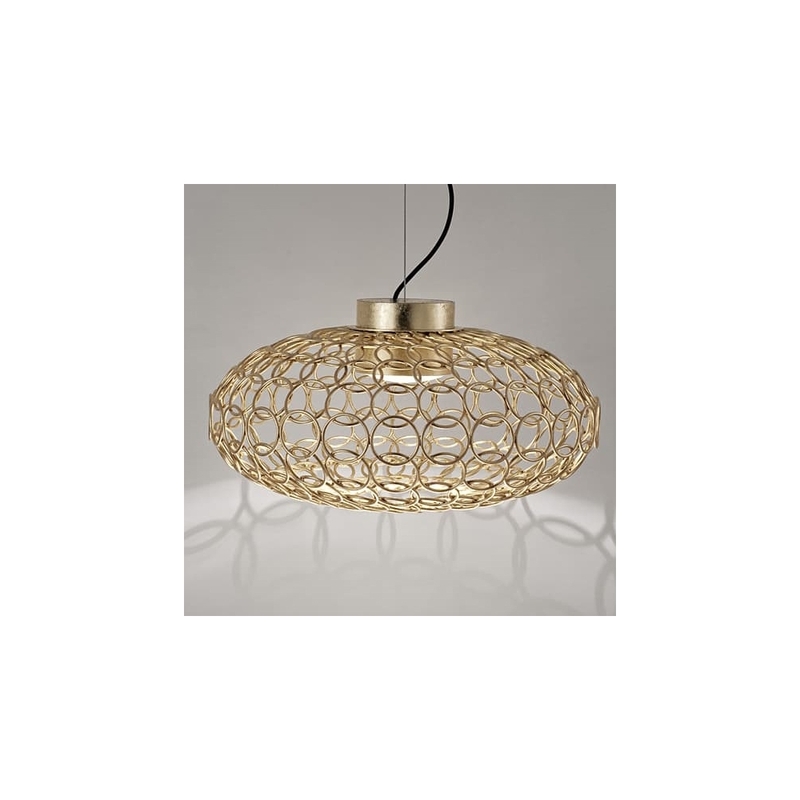 Available as an oval or a sphere, and finished in nickel or gold, G.R.A. serves as an elegant, unobtrusive complement to any room. Design Bruno Rainaldi.